Like all male Polar Bears, Bill is not finding it easy to be separated from his mate. 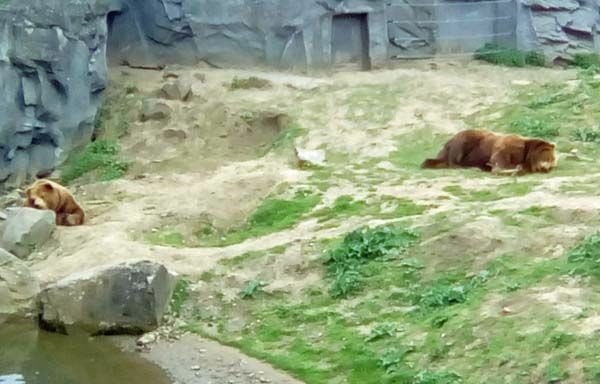 However, he is able to communicate with her through a connecting wall between the two enclosures. In this picture he has decided to see if my shopping bag contains any food for him. 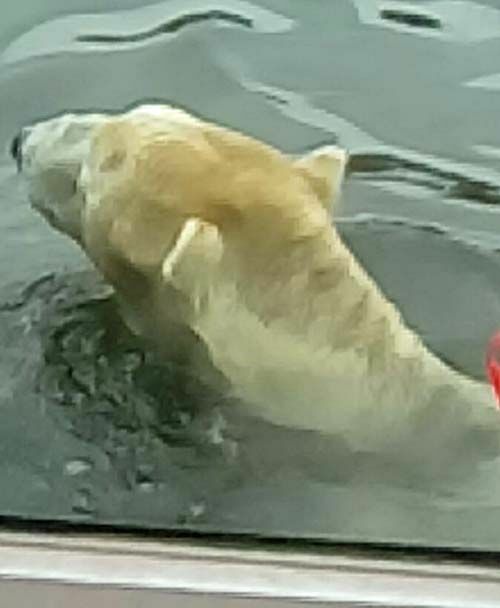 Bill was quick to realise that there was nothing of interest to him in the bag but this screen shot from my video gives an idea of how impressive a male Polar Bear he is. On land Bill shows how long his legs are. 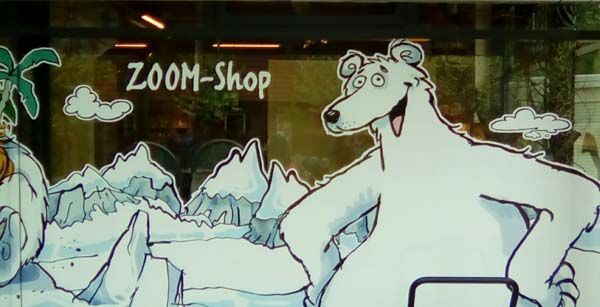 All the Gelsenkirchen Polar Bears have much shorter hair than other Polar Bears in German Zoos. They do not get their hair cut, but seem to have adjusted to the milder climate of the Ruhr. 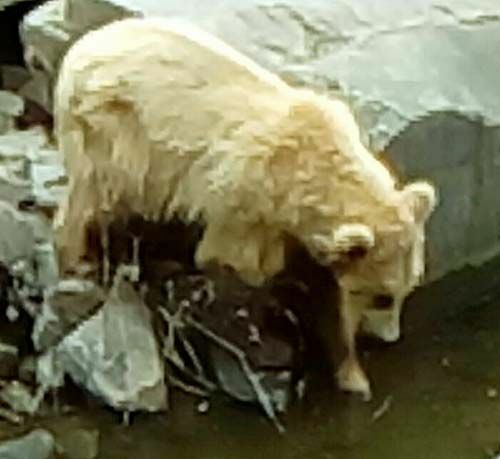 They are also Canadian rather than Russian Polar Bears by descent and these bears seem to have shorter fur. Both Bill and Lara almost look as if they are wearing armour like Iorek in the “Golden Compass”. Bill’s legs have a lovely fur wave as well. 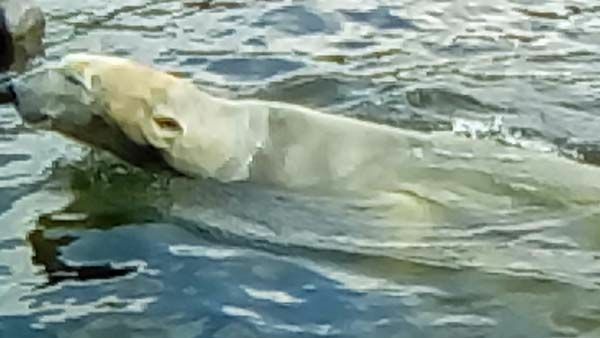 Bill spends a lot of time in the water, often to work out his frustration at being separated with Lara, who he has been with since leaving his mother. 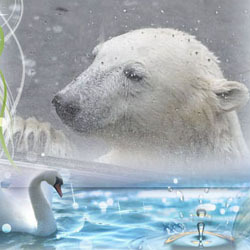 Male Polar Bears are much more sensitive about needing company than we have been told in the past. Bill will cope with being separated from Lara, as Lloyd has done in Bremerhaven. The keepers and vet in Zoom do not rule out any options for Bill, but at the moment they are keeping him as occupied as they can. It is hard to blame him for missing the lovely Lara. 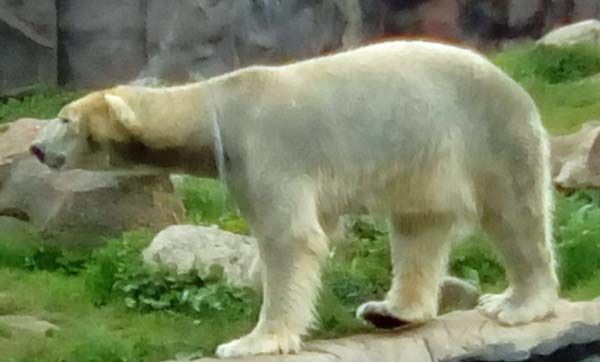 As with the other Polar Bears in Zoom, Bill has a tablet in front of his enclosure. I have a soft spot for Polar Bears of all shapes and sizes so Ella is a welcome addition. Here she introduces younger visitors to the Alaska world and assures them they can use their electronic gadgets. Here she tells children that they need to be careful on the adventure ride. 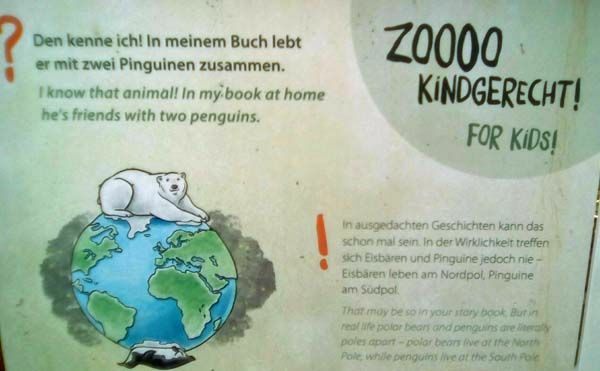 Berlin Zoo also takes notice of children and this notice on Katjuscha’s board explains why books that show Polar Bears and Penguins together are wrong. 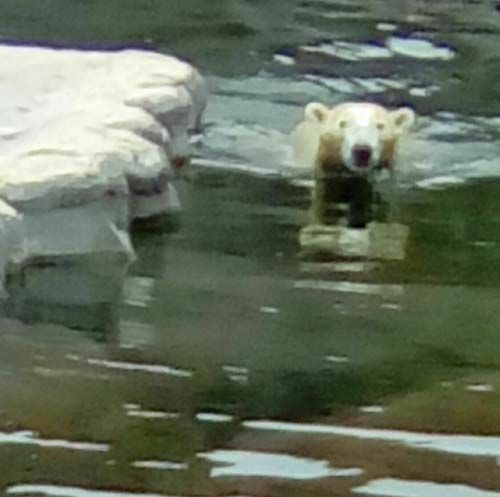 For the adults amongst us, Arctic means bears (Arctos from the Greek) and Antarctic means no bears! On the way to the Polar Bears I did meet some other animals in the Alaska part of the Zoo. 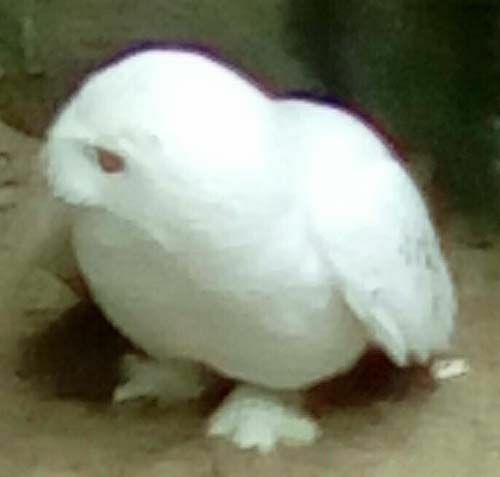 This baby snow owl was sitting on the ground and making quite a lot of noise The older version was sitting in a niche above. 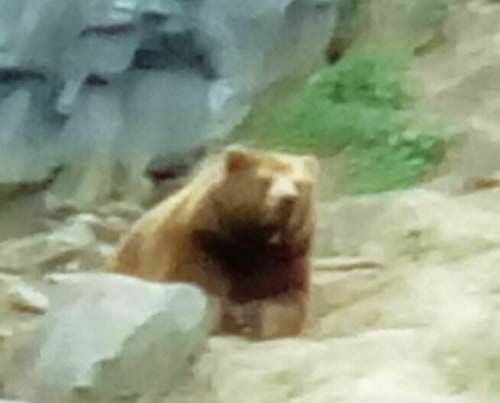 Three brown bears live in the Alaska world and are often to be found in the water of their large enclosure or watching the Kamchatka bears next door through the grill. The two Kamchatka bears came from Hamburg where they were renowned for digging holes. They continue to do so, and there is now a concrete floor in their enclosure to ensure they do not escape. 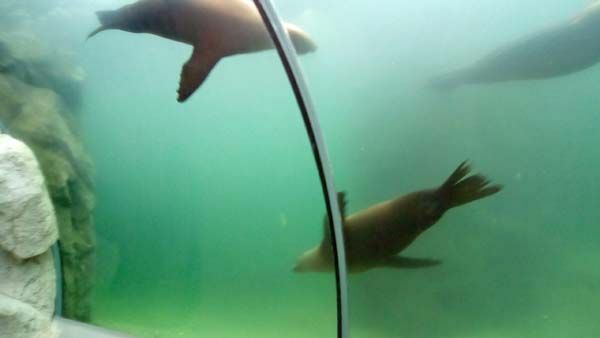 The tunnel between the Sealion pool and the Polar Bears is a popular part of Zoom as the Sealions love to “fly” over the visitors. Although I spent most of the time I had in Gelsenkirchen with the Polar Bears, there are two other areas: Africa and Asia. 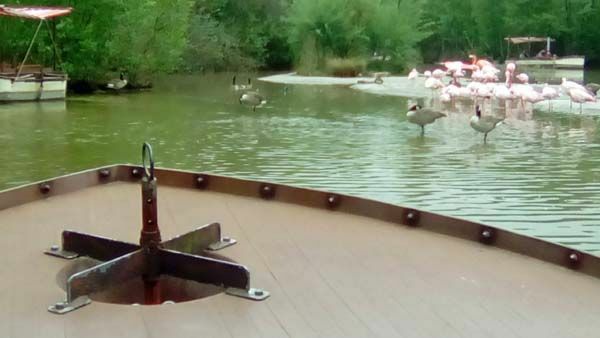 On Tuesday afternoon I decided to break out into the Africa world and have a ride on the “African Queen” boat that goes around the lake for a twenty minute ride. 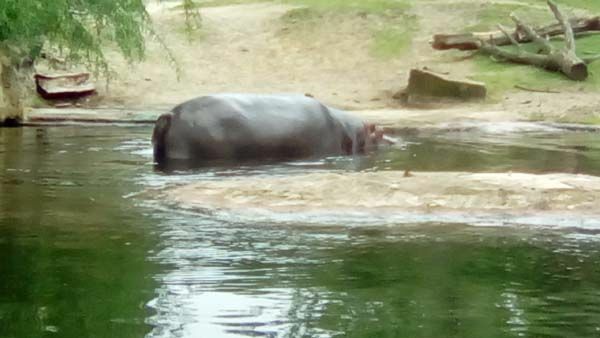 I love Hippos and there are two in Zoom Gelsenkirchen. They can also be visited on land. On the way out of Alaska world I was able to see a new arrival, a lynx. 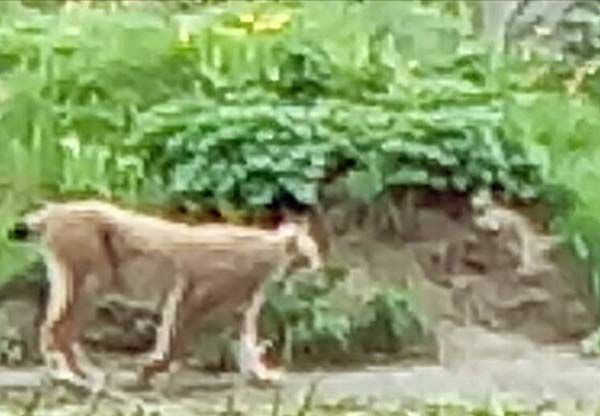 The Lynx was very interested in visitors. I did not have time to visit the Asia part of Zoom Gelsenkirchen, but as I am going back in September I shall do so then. We don’t meet Bill very often so it’s a great pleasure to meet him here now! Bill is an impressive looking bear that deserves all our respect. Like all fathers of newborn cubs he’s forced to a life of a bachelor but luckily he can see Lara and Nanook. And, naturally, he can smell them, too! I’m sure the keepers will keep the good chap occupied with toys and other enrichment so he’ll be able to cope with the new situation. He’s lucky being able to stay in his home zoo! All the other animals are very sweet, too, but – surprisingly! 🙂 – my favourites are the brownies. 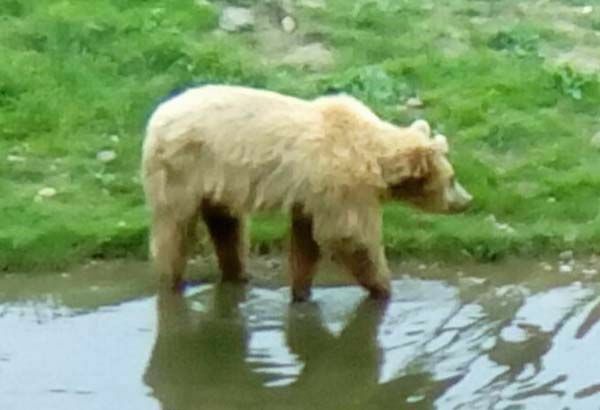 These ‘Alaska’ bears are always so wonderful to see. Thank you so much for this report! I’m really glad we could finally have ‘live’ reports from Gelsenkirchen! Thank you for the second part of the report about your visit at the Gelsenkirchen Zoo. I agree with you that it might have been a solution to send Bill and even Wolodja to the Yorkshire Wildlife Park while their partners raise the kids. I´m afraid it´s not that easy that Bill can smell Lara and can´t be with her, especially in the mating season, but it´s good to know the keepers do their best to keep him occupied. You know that I love all bears, especially brown bears, so I am enthusiastic about the keeping of Syrian(?) brown bears and about the Kamtschatka bears from Hamburg in Gelsenkirchen. I think I´ve already seen them as cubs in Hagenbeck. 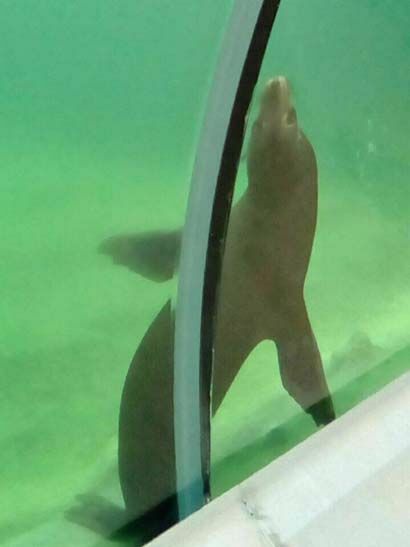 Your underwater pics of the sea lions are great. I would have liked to take a trip on a boat through “Africa” too. Thank you for the report about Bill and the other animals. I find that Bill looks nice. We met him in September 2014. He was with Lara together. 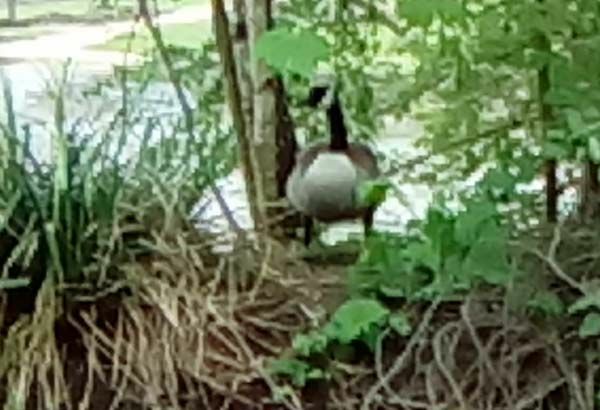 He walked and swam too. Grossartige Bilder hast du uns aus Gelsenkirchen mitgebracht. Ich erinnere mich gerne an unseren Besuch vor 2 Jahren, ZOOM ist wirklich ein Erlebnis. Für die Eisbären -Papas ist es echt nicht leicht, aber Bill hat eine schöne Anlage. jetzt habe ich mir auch Deinen zweiten Teil aus Gelsenkirchen angesehen. Ich finde, dass Bill auf einigen Bilder Ähnlichkeit mit Wolodja hat. Er hat auch lange Beine und kurzes Fell, und ist kein Kanadier. 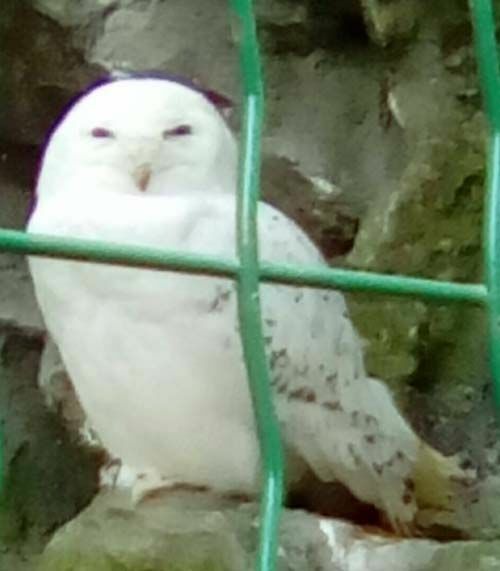 Ich finde es schön, dass Du auch in Gelsenkirchen “nicht nur” bei den Eisbären warst, sondern auch noch einige andere Tiere besucht hast..
Aber bei dem letzten Bild braucht man wirklich ganz viel Phantasie um zu erkennen, dass es ein Luchs sein soll, wenn ich das richtig verstanden habe. Es gibt ja auch abstrakte Malerei, warum nicht auch abstrakte Fotografie? Danke für die Fortsetzung aus Gelsenkirchen. 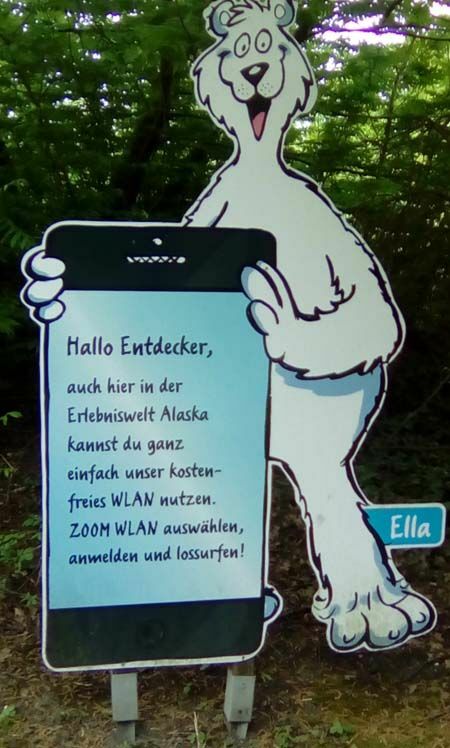 gibt es bei uns im Wald, aber man sieht sie nie. Danke fuer Fotos und intressante Info von gelsenkirchen. Alles sieht sehr gut aus. 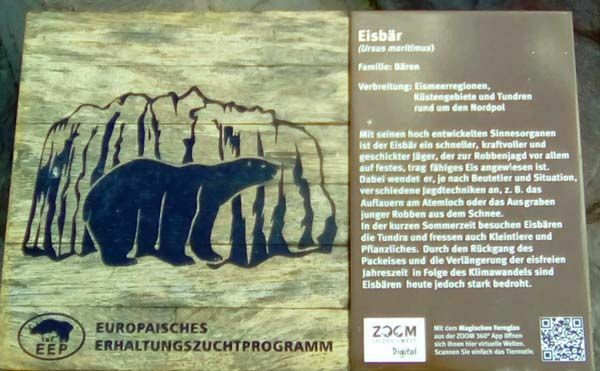 ich kann dir zu dem Thema Eisbärenbullen nur zustimmen. Ich habe immer Felix vor Augen wie er nicht zu Vera konnte weil sie mit Aleut und Gregor beschäftigt war. Er hat gelitten und konnte diese Situation überhaupt nicht verstehen. 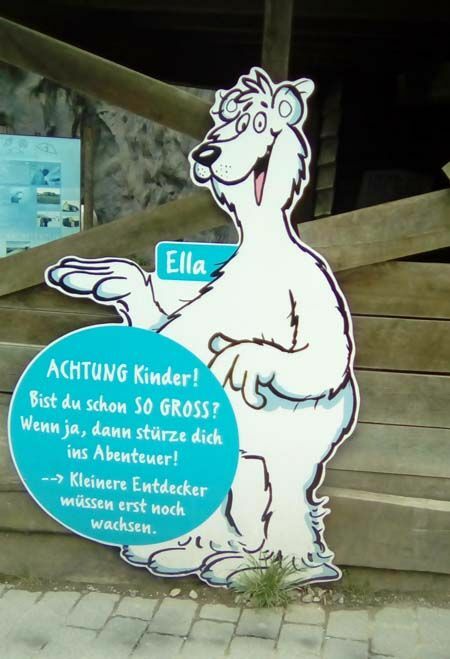 Nicht jeder Eisbär reagiert und leidet so extrem und Bill muß sich erst noch an die neue Situation gewöhnen. Vielen Dank, für deine Bilder und Infos von Bill. It was a pleasure to read it and watch all the pictures. Dear Ralph, just discovered your Gelsenkirchen report. Yes, you are right, Bill is a huge bear with long legs. 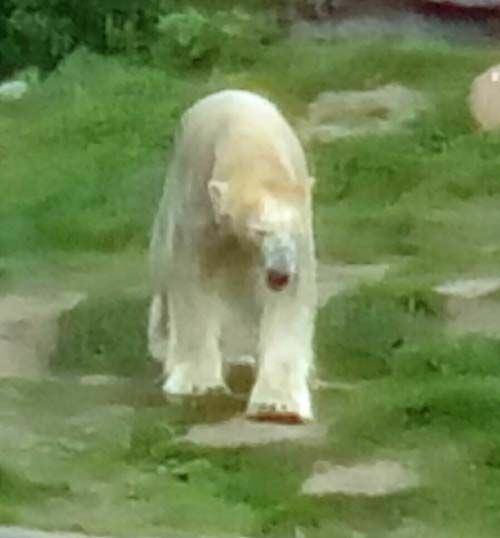 And I have also noticed it before that the Russian polar bears do have a longer fur. 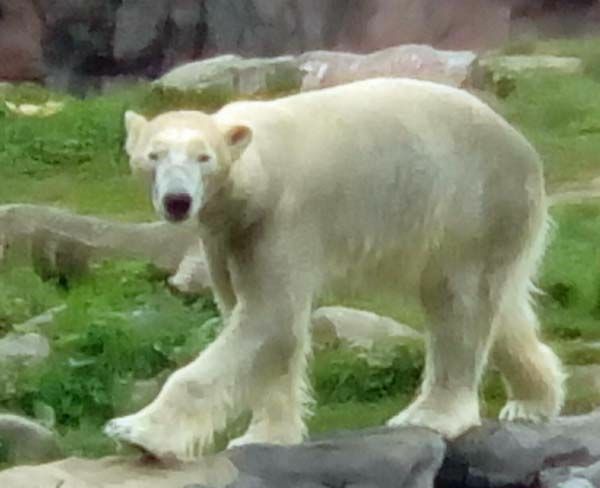 And I also agree that zoos still need to learn a lot about the behavior of male polar bears towards females having cubs. As you will recall, sometimes, it is possible to bring the family together when the cub is about 6 months old. 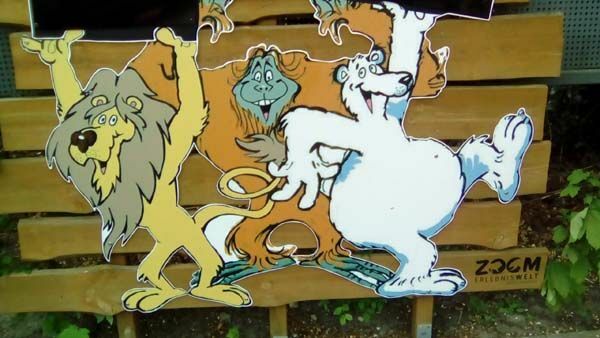 Zoos should do more training in that regard. Since the males are living in captivity, one thing is for sure: they are never hungry. Log in | 54 queries. 1.065 seconds.